From contemporary craft to the best in regional theatre. 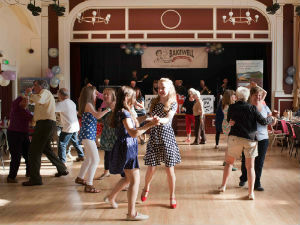 Bakewellians over a certain age are sure to remember our signature room. 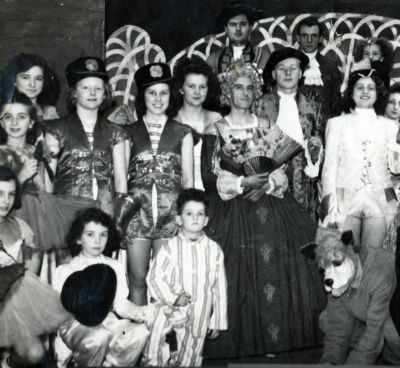 The venue for many a dance, the Assembly Room Theatre played a formative role in most children’s past as the venue for the town pantomime. 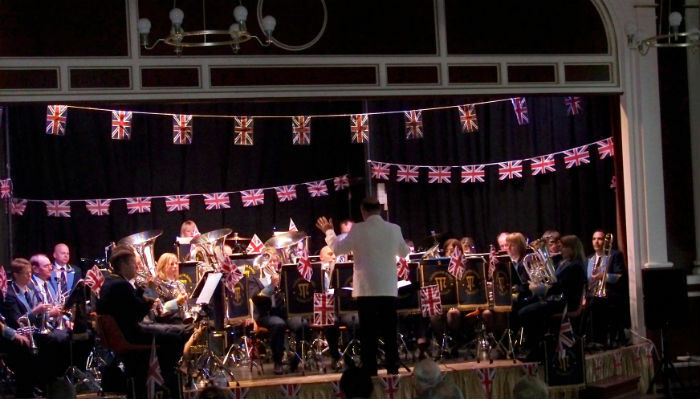 See our What’s On guide, for details of current productions. A purpose-built theatre with stage, proscenium arch and movable apron, the Assembly Room Theatre is a wonderful venue for live performers. We have everything you need to put on a great show and a sprung floor to dance the night away. 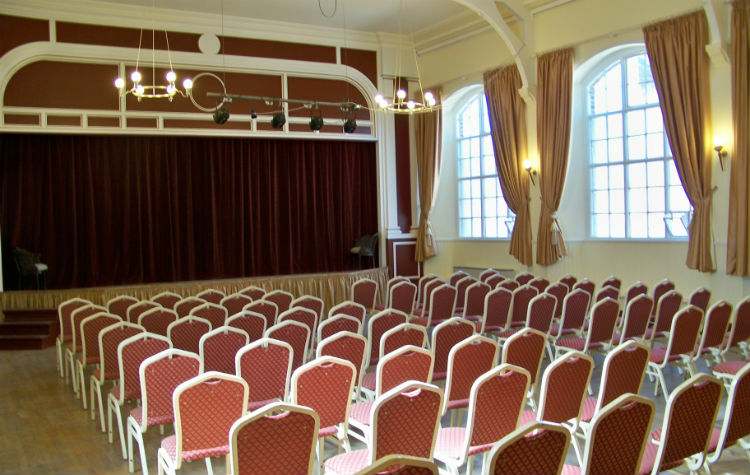 We have the space for 168 seated theatre-style, and up to 300 standing. Newly renovated and equipped with a fantastic gallery hanging system, the Court Room Gallery is the perfect venue for arts and exhibitions. Originally the Town’s magistrates court, the Gallery offers heritage with a contemporary edge. Housing an exhibition of original prints by The Sheffield Printmakers, with Court Room Gallery hosts a range of contemporary arts and craft events, exhibitions and private viewings. 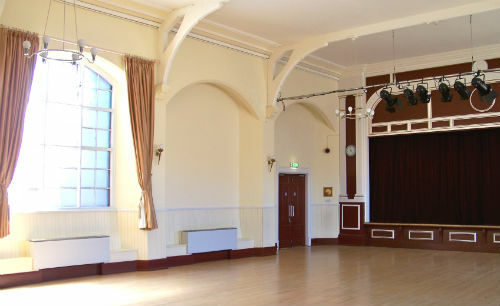 Bakewell Town Hall hosts a number of sales of contemporary craft and printmaking, the Court Room Gallery offers a superb venue for parties and weddings. Direct access to a fully-licenced bar. 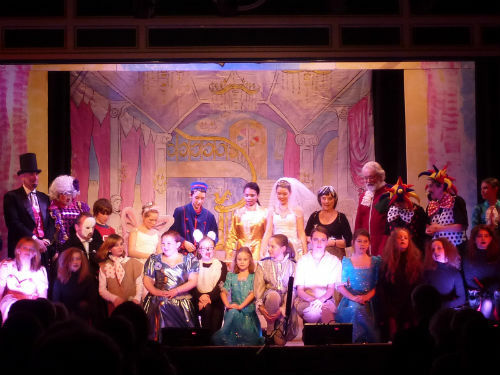 10.5m x 4.6m Proscenium arch with apron. Curtain and roller scenery. Backstage access to toilets and 2 dressing rooms. Three very large windows: excellent natural light. Hanging rails system: 9m run; space for up to 40 works.